Let me start off by saying, this was not planned LOL I didn't expect to buy another one after selling my LSB but after seeing it, I just couldn't resist. Sold my LSB a few weeks ago on a Saturday to free up cash to do home reno, then that Monday after, I jumped on autotrader just to see if anything new is going on and see the current market.. Saw this gem. 2005, 90k miles, silver grey on black, HK, Power seats w lumbar, stick, 1 owner, clean CF. Car looked really clean and bone stock which I loved and the lady I who answered the phone told me she was asking 20k. I thought to myself, this car is probably junk but since she lives 40 min away, I'll go check it out.. Took a ride to her house ( IN THE MIDDLE OF NO WHERE!! FARM LAND!) LOL and this thing is perfect.. not a single scratch, dent, ding, interior is flawless, trim is perfect, OCD maintenance records (water pump, timing chain/guides, T-stat, all fluids and hoses and inspection 2 done at 75k miles), etc. I met this little old lady who tells me she bought this car cash back in 2005 from Prestige BMW in NJ and she told me she always babied it and always shifted under 4-5k RPMS.. to me that means never redlined or abused! (big plus in my book). It was a strictly nice weather car for her and her husband. She racked up miles because she was 20 minutes to even a gas station! She was a teacher who had an hour commute and she'd drive the car to work and enjoy it on nice weekends. Never in the snow since she always had 2 cars. Unfortunately, I ended up paying close to her asking but I didn't mind because it's in great shape! I honestly haven't seen one this clean in years and I wanted it! Not even any curb rash on the oem 18s. She gave me 2 keys and the valet key, all books, docs, brochures, and the original window sticker of the car. 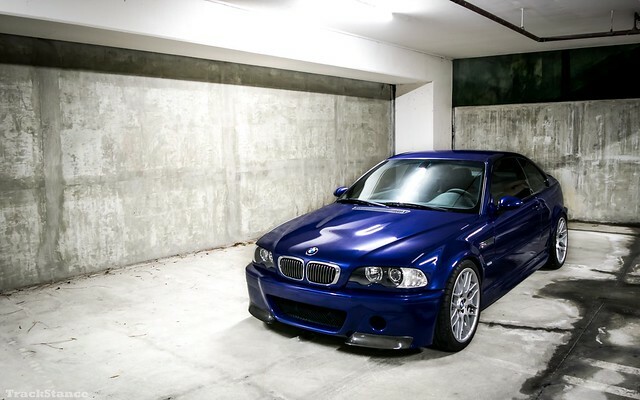 I'm proud to be the second owner of this E46 M3! Here is the current Mod list as of 04/1/2019! Last edited by OneFastSicilian; Thu, Apr-18-2019 at 06:40:04 PM. Here is where she rests! yours is IB and slick top. you scored big time! Wow that looks in really good condition! Congratulations on the purchase and welcome *back* to the club. Awesome story with the couple taking good care of it. Enjoy! Damn I'm jealous of that minty interior! Nice find. Can't wait to see the progress. Going to sell mine and buy another just to keep up with you. Good luck with this one Frank! All times are GMT. The time now is 04:33:03 AM.